We know that there is a different minimum requirement for simply participating and for thoroughly enjoying or excelling at things. Are we dabbling or do we have a serious intent to perform to the best of our ability and get the most from an activity? The same is true of visual pursuits. So when we approach a visual task we should give no less attention to the detail. Sometimes the right tools can make all the difference to our enjoyment and productivity and ultimately the quality of our visual performance. The right lenses that focus at the correct distance whilst allowing a comfortable posture. The right coating to reduce glare or the right tint to enhance visibility or protect the eyes. The right lens material for safety or weight reduction. The right frame for image or fashion or functionality. This is going to mean more than one pair of glasses. 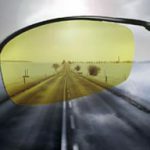 The everyday multipurpose glasses to cope with most things and the task specific designed for purpose performance enhancing glasses. A small investment in supporting your visual system for comfort, enjoyment and optimum performance in work, education, sports and leisure. We offer unique solutions tailored to your specific requirements. contact us to enquire and let us provide your optimal vision enhancing solution.